love to you all. I should expect to hear from you soon. I hope it may be so that you can come at once, if you think it necessary. I have not seen Levi for some time & only judge from what I hear. You will be able to judge if you should come. I know at least that Levi would be very glad to see you and would set his mind at rest somewhat. Yours in haste Orion A. B. 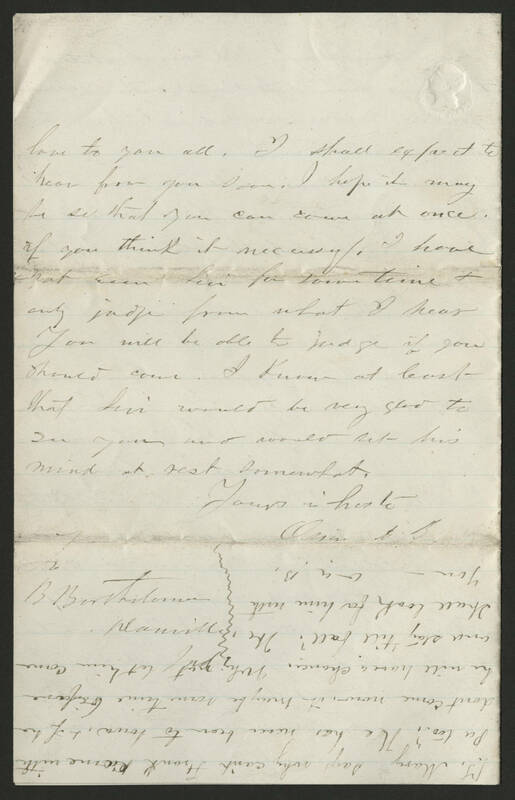 [illegible] Mary says why can't Frank come with Pa too? He has never been to Iowa, & if he dont come now, [illegible] maybe sometime before he will have a chance. Why not let him come and stay till fall? We shall look for him with you- O. A. B.